Sightseeing in Fort Kochi including St. Francis Church (India's oldest church). Special Kathakali performance in Cochin. Munnar sightseeing including Eravikulam National Park. 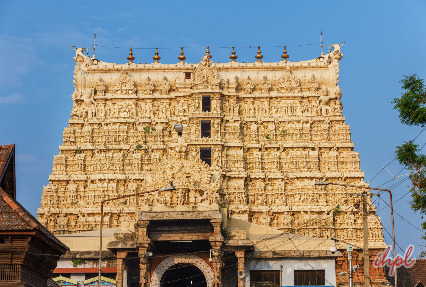 Pay homage to Lord Vishnu at the popular Padmanabha Swamy temple. After arriving at the Cochin Airport/ Railway Station, get in touch with our tour representative and be transferred to the hotel. Complete your check-in formalities and relax. Post lunch, travel across the Cochin Harbor and arrive at Fort Cochin to enjoy sightseeing. The famous attractions which you will visit include St. Francis Church, Dutch Palace and Jewish Synagogue. 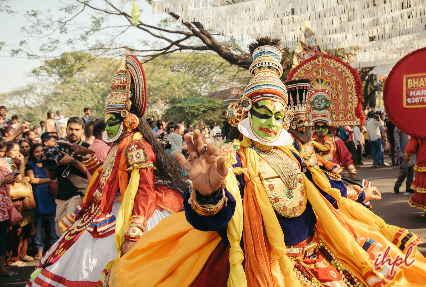 In the evening, you will enjoy the special Kathakali dance. This is followed by an overnight stay at Cochin. Post-breakfast, drive your way towards Munnar, the beautiful hill town in Kerala. 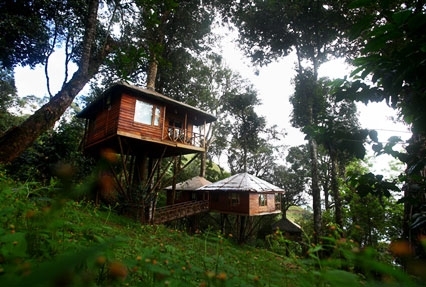 Upon arrival, check-in at a tree house resort. The tree house is equipped with all the modern amenities. Enjoy your stay there. You have the rest of the day at your leisure. You could also choose to explore the nearby surroundings. This is followed by an overnight stay at Munnar. Enjoy sightseeing in Munnar. Visit the Mattupetty Dam, Old Munnar Town, Town Market, Eravikulam National Park. 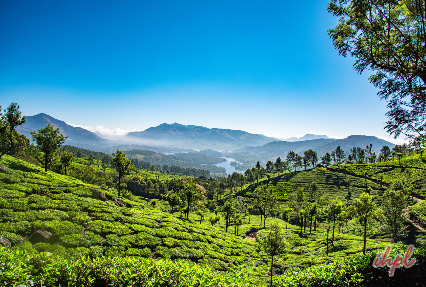 All these places are great for sightseeing and each place offers you a unique side of Munnar. This is followed by an overnight stay in a tree house. Post-breakfast, start your journey to Alleppey, also known as Alappuzha, the backwater hub of Kerala. 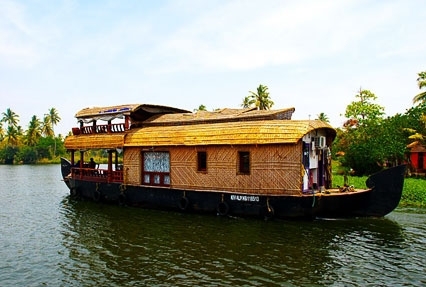 After arriving, check-into a Kettuvallam, a traditional houseboat equipped with all the modern facilities and amenities. The backwater cruise will be an overnight journey with a lot of sightseeing. After breakfast, disembark from the houseboat and hit the road to Kovalam. After arriving, check-in a beach resort. Kovalam, a beautiful beach town near Thiruvananthapuram, is most famous for its crescent-shaped beach which comprises of three beaches – Hawa, Lighthouse and Samudra Beach. This is followed by an overnight stay at Kovalam. On this day, opt for sightseeing in and around Kovalam including attractions like Padmanabhaswamy Temple, Veli Tourist Village, the Museum Complex, Science & Technology Museum and Shankumugham Beach. Return back to Kovalam. This is followed by a overnight stay at Kovalam. Get transferred on time to the Trivandrum airport/railway station to continue with your onward journey. Daily breakfast and dinner in Tree house. Air-conditioned transportas per itinerary by Indigo/similar. 01 Kathakali dance show ticket. Services of Local English Speaking Guide for sightseeing in Cochin. The above rates are valid till 1st April to 30th Sep’19. Normal hotel check in /Check out time 1400 / 1200hrs. All rates are subject to a revision if there is a fluctuation in the currency rates. For Non Resident Indians clients (NRI client) – copy of passport. For Overseas Indian clients holding OCI / PIO card – copy of passport and copy of OCI/PIO card is mandatory. For domestic clients – copy of Driving License / Voter ID Card / passport is mandatory.